If you cannot see the nib unit required please telephone us we can often obtain it for you, telephone: 01895 672537. The nibs we stock are in the main current production items, if your pen is over five years old please check with us before ordering. We keep a selection in stock for immediate delivery, if out of stock please allow 10 days. Gold Plated Medium only. Not stainless steel unplated as shown. 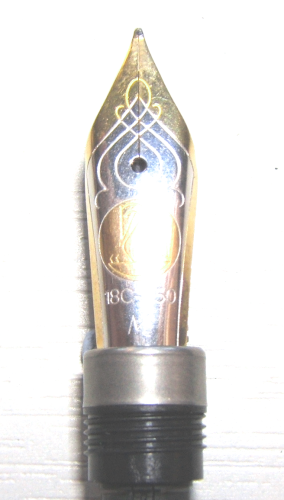 We stock Pelikan nibs only for the pen models we sell. If we are out of stock please allow 10 days for delivery. Most Pens come with a Medium Nib, the choice of 80% of customers. 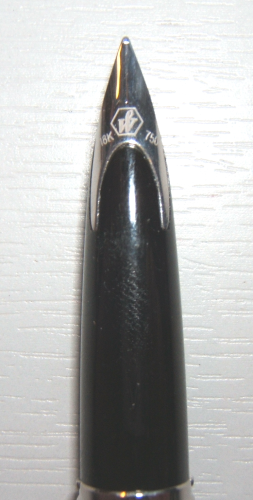 However we can offer a wider choice of nibs on most pens: Tick a box for your preference. Italic options may also be available for your fountain pen selection, some nibs may be available from stock or can specially ground to an oblique tip . It should be noted that the round pellet (the little bobble at the tip of a nib) works for both left and right handed users, if you have an exaggerated grip then an oblique may help. 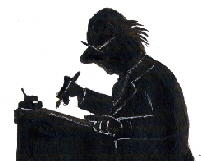 We can also grind nibs for shorthand use, writing music and other specialist applications. You have 30 days to exchange your nib on any fountain pen purchased from MrPen. This does not apply if the nib has been reground by us to a customer request. We are here to answer your questions from 9.00 am until 5.00 pm on 01895 672537.